​The Coney Island Lighthouse was built in 1890 at the western end of Coney Island. The area, known as Norton's Point, is now also part of the gated community of Sea Gate. The Lighthouse property consists of the actual lighthouse tower, a house next to it, and a storage shed. When the property was built, it took four months and cost $18,000. At the time, the storage shed was not there, but a fog bell was on the property that was rung when the fog in the area was too thick to see the lighthouse through. The fog bell was eventually removed after 1960 when my family (the Schuberts) moved in, and the neighbors were very happy! The lighthouse originally started with a 2nd order Fresnel lens lit with a kerosene lamp that floated in mercury to eliminate friction. It was later changed to an LED lamp with multiple bulbs that would rotate automatically to the next one in the event of a bulb burning out. 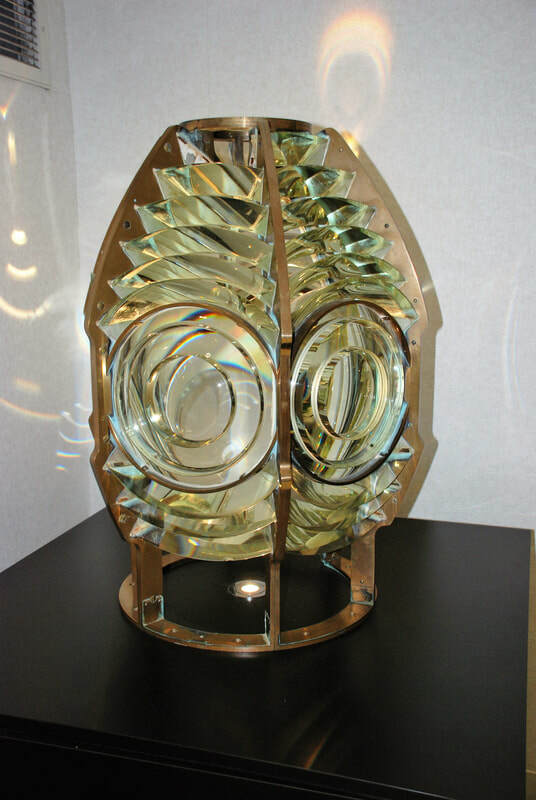 The original 2nd order Fresnel lens is now on display in the lobby of the headquarters of the U.S. Coast Guard in Washington D.C. (or at least it was as of 2009). 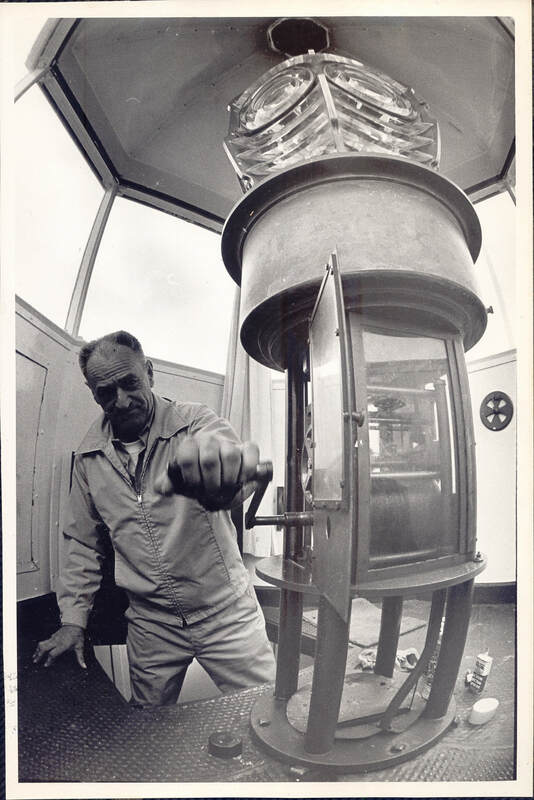 Additionally, when the Schubert family moved into the Coney Island Lighthouse in 1960, the lamp was being rotated by a mechanism that worked like a grandfather clock - you had to go up to the lamp and use a crank to wind up a rope with a weight on it. As the weight would slowly descend through the middle of the lighthouse during the night, the lamp would turn. However, the rope was not very long and needed to be cranked every four hours. When Frank Schubert took over, he lengthened the rope so that it would last for 8 hours. The lighthouse was designed by Major (of Engineers) D.P. Heap of the US Lighthouse Service, who also built several other lights with the same design (Throgs Neck and the Plum Island rear range light, for example). The lighthouse was turned over to the government for activation in August of 1890 and the first keeper there was Thomas Higginbotham. Soon after Mr. Higginbotham became head keeper there, two brothers who were formerly policemen for local politican John W. McKane, joined him as assistant keepers - John Bailey and Daniel W. Bailey. Mr. Higginbotham died in a heat wave in 1910 and several others followed - Ernest J. Larsson in 1910 and Gilbert L. Rulon was there as well, from 1910 until 1918. Then Herbert Greenwood joined the team. He watched over the waters of Coney Island until 1944 when Adrien Boisvert took over as keeper and moved in with his family, and they kept the light until my Grandfather, Frank Schubert, took over in 1960 and we moved in.